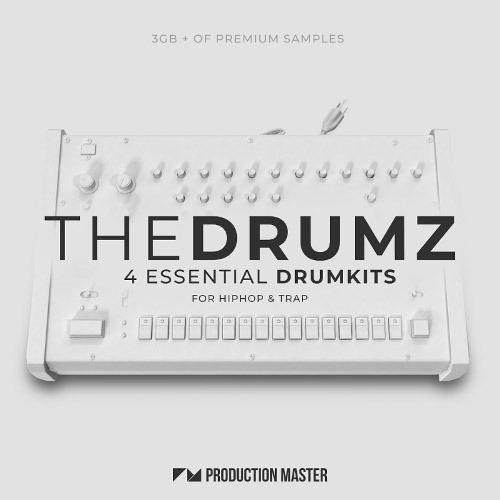 Production Master presents “The Drumz”, the most complete trap & hip-hop drum kits you will ever need! 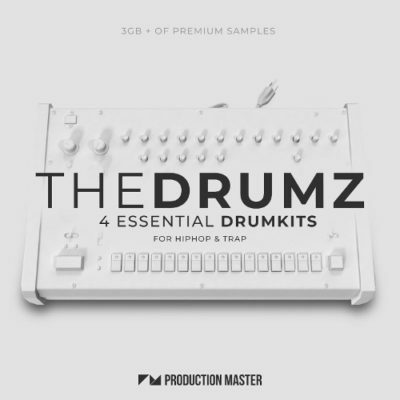 “The Drumz” contains 4 GB+ of four separate drum packs for modern mainstream trap, heavy EDM trap, modern lo-fi hip-hop and platinum charting hip-hop & trap. Explore the wide selection of organic drum and percussion sounds; this exciting collection includes a mixture of crunchy breaks, dusty kick drums, punchy snares, smooth percussion, bright hi-hats, crisp tops & more! 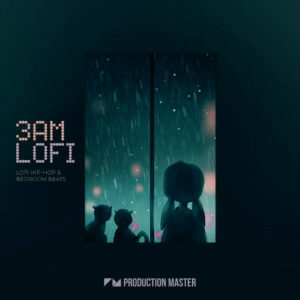 Create some laid-back chill-hop, lo-fi soul or simply some relaxed hip-hop beats with this chilled-out lo-fi drum pack. Smash the dance floor with heavyweight kicks, phat snares, ground shaking percussions, rolling hi-hats, dazzling rides and more! These huge hits have also been precisely combined into complex, ready to use trap drum patterns ensured to create that half speed bounce that is taking the charts by the storm! If you enjoy artists like Travis Scott, Drake, Migos, Post Malone, blackbear, Tyga and others, this pack is gonna give you a lot of fun hours in studio! Created using both analog and digital drum machines and synthesizers, our drum & percussion folder sets a whole new standard. We have also ensured to deliver the most variable collection of low kick booms, 808s and dope kicks. Take your drums to enduring heights with this exceptional addition of electronic drum sounds and percussions. 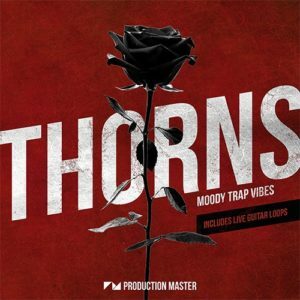 ‘TRAPWRLD’ focuses on the smoother and melodic side of trap sound – ideal for creating emotional trap, future r&b or even future bass. You will find some killer drum one-shots and loops in this pack; hard hitting kicks, ear popping claps, bright cymbals and rides, dank percussion loops, drag and drop build-ups, hihats with sick original patterns and much more.